An optical closure study on bio-optical relationships was carried out using radiative transfer model matrix operator method developed by Freie Universität Berlin. 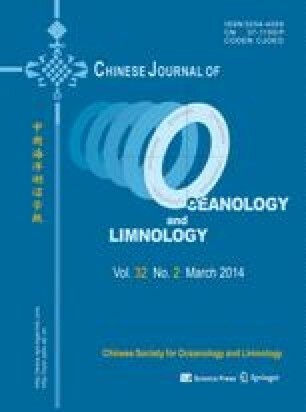 As a case study, the optical closure of bio-optical relationships empirically parameterized with in situ data for the East China Sea was examined. Remote-sensing reflectance (R rs) was computed from the inherent optical properties predicted by these biooptical relationships and compared with published in situ data. It was found that the simulated R rs was overestimated for turbid water. To achieve optical closure, bio-optical relationships for absorption and scattering coefficients for suspended particulate matter were adjusted. Furthermore, the results show that the Fournier and Forand phase functions obtained from the adjusted relationships perform better than the Petzold phase function. Therefore, before bio-optical relationships are used for a local sea area, the optical closure should be examined. Bai Y, Pan D, He X, Mao Z, Huang H. 2006. Optical characteristic and particle composition in China Yellow Sea and East China Sea. In: Krishnamutri T N, Goswami B N, Iwasaki T eds. Proc. SPIE 6404, Remote Sensing and Modeling of the Atmosphere, Oceans, and Interactions, 64040X, http://dx.doi.org/10.1117/12.692983.